Hot Toys has done sixth scale figures of Disney characters before. 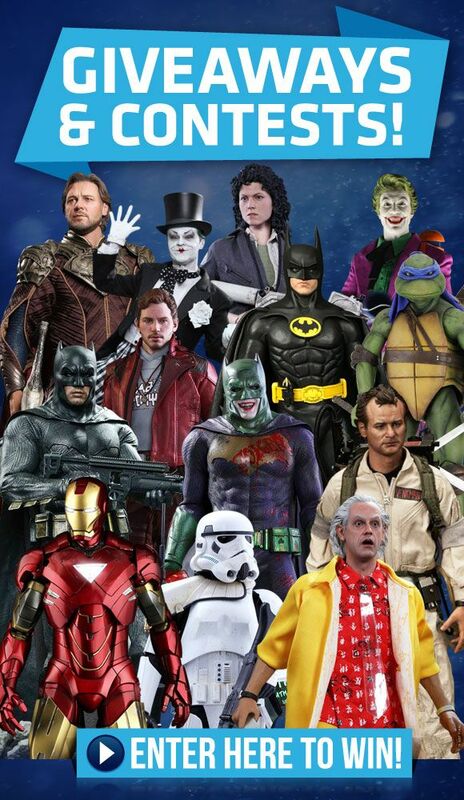 While some would argue that technically any Marvel Cinematic Universe or Star Wars figure that is released is technically a ‘Disney’ character, we are of course referring to their figures like Maleficent or Tonto. 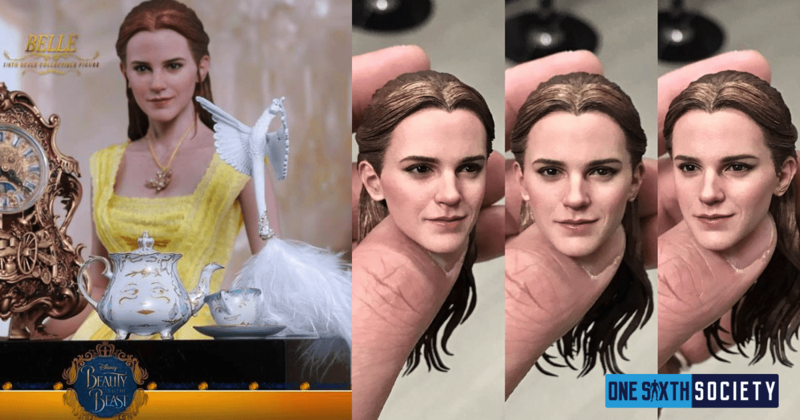 Just today however, collectors were surprised by a figure of Emma Watson as Belle in Beauty in the Beast! Female figures are few and far between by Hot Toys, so it is always interesting to see a new one come out. The Hot Toys Beauty and The Beast Belle Figure comes with a variety of accessories as well, which is another pleasant surprise! 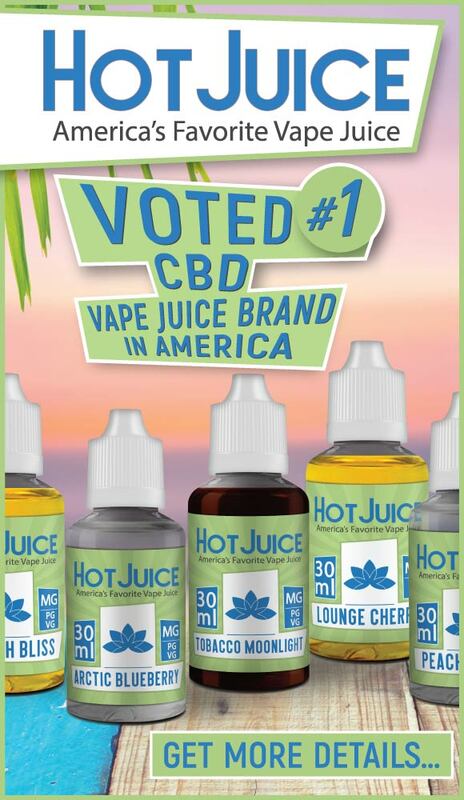 There are some things to be noted however, so let’s dive right in. The forefront of this release is clearly the headsculpt. We are looking at two key aspects here; the face and the hair. Beginning with the face, some collectors have noted that the face in some of the promotional photo looks not quite right. However, Hot Toys released photos of the paint master that are looking completely spot on. 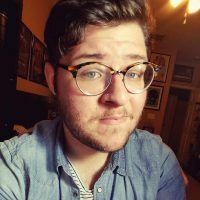 Secondly, we have the hair. Many Hot Toys female figures have rooted hair, but Belle is an exception to the rule as her hair is sculpted. This is an interesting decision, but it may be that she has some ornamentation in her hair. 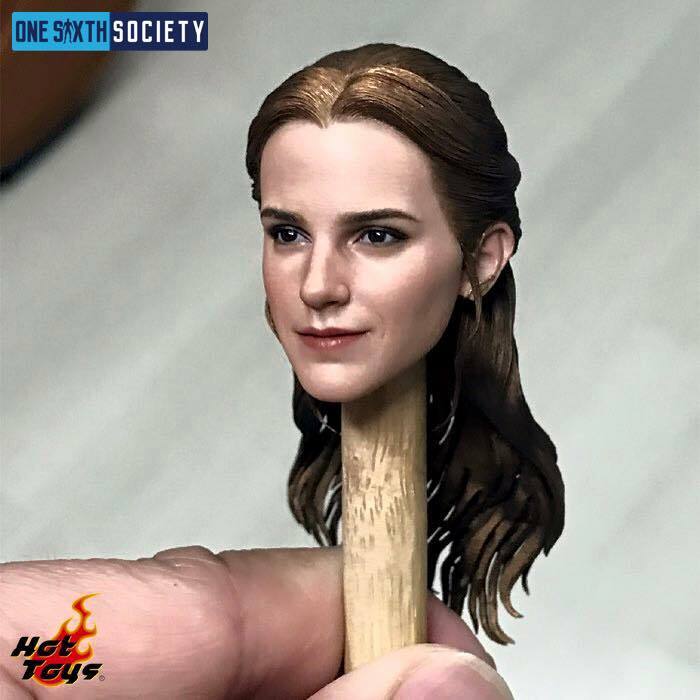 Whatever the reason, the sculpted hair looks like it is sculpted and painted very well. Next, we have the outfit. It is tailored to be similar to the golden dress that she wears in the end of the film, and while Hot Toys has done few dresses over the years this one looks to be tailored quite well. According to the details, it is woven from several layers of fabric, so expect plenty of detail. She is also adorned with a golden necklace. Under the dress is likely a typical hot toys female body painted to match the sculpt, with seamless arms. 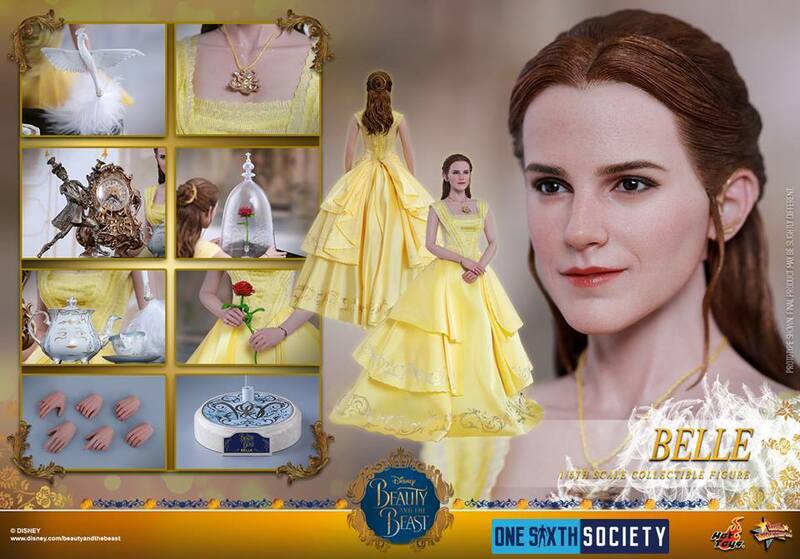 The most exciting aspect of the Hot Toys Beauty and The Beast Belle Figure is the accessories. In addition to the typical hands in a variety of poses, we are given several accessories that are actually other characters from the film. We have Lumière, Cogsworth, Mrs. Potts, Chip, and Plumette all included. All of these look to be intricately detailed and painted, which is nice for pieces so small. We are also given the enchanted rose, both within and outside of the glass case. Finally, a unique stand that is reflective of the marble floor of the Beast’s castle. 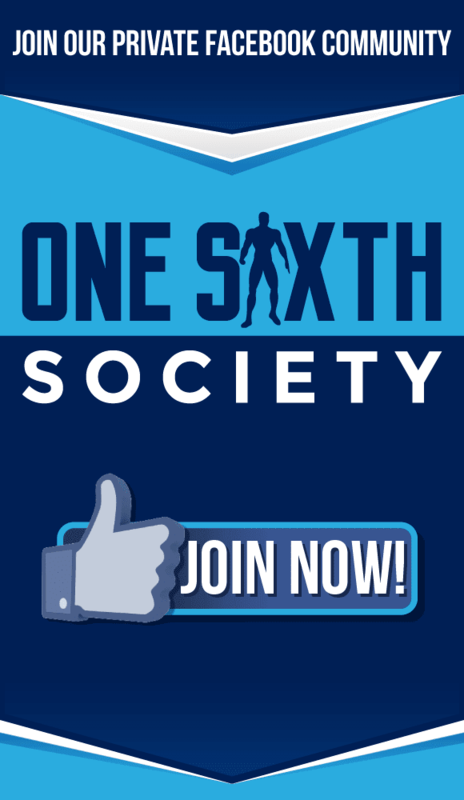 With a slew of Star Wars and Marvel figures being released consistently, it is a pleasant surprise to see something new and different from Hot Toys. It will be interesting however to see In person pictures to compare the headsculpt in the prototype photos to the real deal. Photos do not always do a fantastic job of getting across the accuracy of a headsculpt. 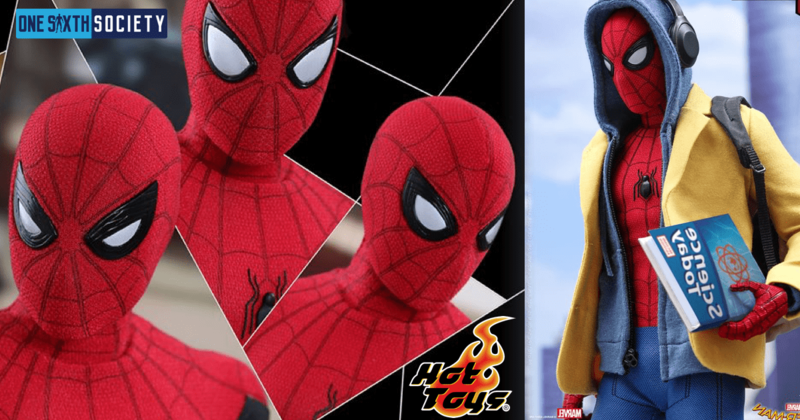 However, if the photos by Hot Toy’s production team are anything to go by we are looking at a wiiner on our hands. 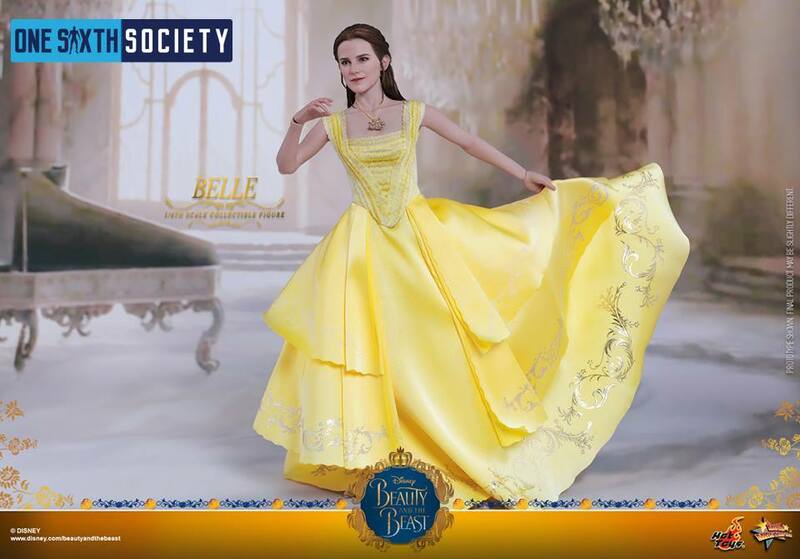 Time will tell if we get a Beast to go with the Beauty that is the Disney’s Belle Sixth Scale Figure by Hot Toys. 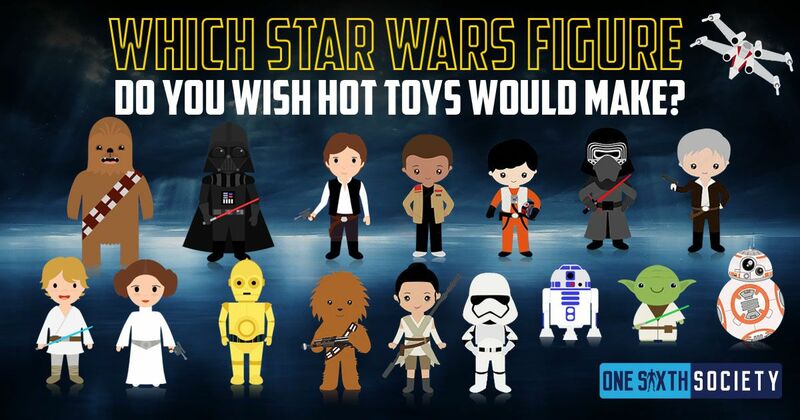 NextWho is Hot Toys Founder Howard Chan? 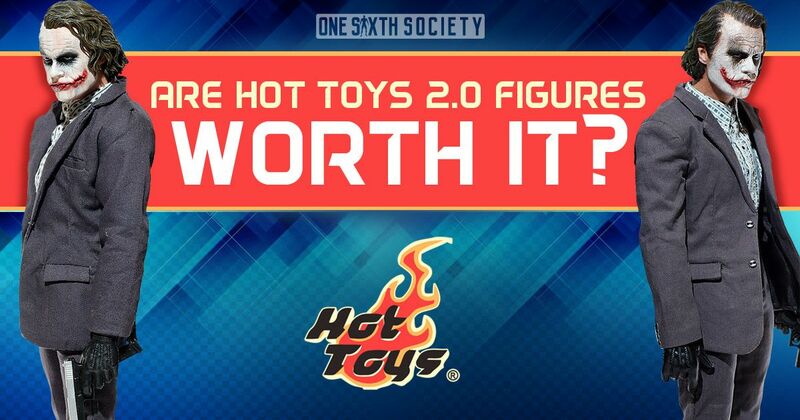 Are Hot Toys 2.0 Figures Worth It?